He will "remain active" in the region in an informal role, the source said. 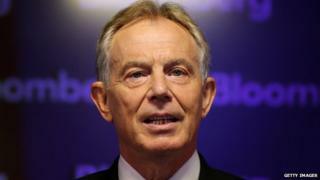 No-one is going to consider Tony Blair's period as Quartet envoy a resounding success. But it can't be written off as a failure either, largely because of the mandate he was given. The role came with considerable media fanfare, but in truth they were big headlines heralding a modest set of responsibilities. It was the envoy's job to bring economic development to Palestinian areas, and there were some successes on improving freedom of movement and mobile phone services. But everyone knows some sort of political progress has to come - stability, if not a proper deal - before the Palestinian economy can really flourish. That never came on Mr Blair's watch. But it wasn't his remit either. Some felt he was too comfortable with the Israelis and that the Palestinians never felt he put in enough hours at the job. His time may not be ending gloriously but it is difficult to hold Mr Blair to account for failure in a region where very few international diplomats have succeeded. Although he did contribute to the political process, Mr Blair felt the post was "limited" to supporting the Palestinian people on economic development and strengthening institutions, the source said. James Robbins, BBC diplomatic correspondent, said Mr Blair's time in the role had coincided with "hope draining away throughout the Middle East peace process". He said the Quartet of powers was now likely to examine its own role in the peace process - as well as the future role of another possible envoy. "So little has been achieved - arguably nothing has been achieved - in the Israel-Palestine process in the past decade and more, so I think if the Quartet examines its own usefulness it will certainly think twice before rushing to have a new envoy," our correspondent added.